Please join us at our April 15th luncheon! On April 15, 2015, Debbie Moak and Seth Leibsohn are slated to speak to us about the dangers and pitfalls sure to come our way should our state, or (God forbid) the entire country, legalize marijuana. Palo Verde RW member Debbie Moak is the co-Founder of NotMyKid—an organization dedicated to empowering and educating youth, families, and communities with the knowledge and courage to identify and prevent negative youth behavior. Currently, she is the Director of the Arizona Governor’s Office of Children, Youth & Families. It has become fashionable of late, indeed, too fashionable, to argue on behalf of the legalization of a dangerous substance in America and, given recent polling, Arizona. That dangerous substance is marijuana. For those who do still support keeping marijuana illegal, many are unfamiliar with or have forgotten the arguments in favor of that position. And many others have simply been cowed or overwhelmed with the propaganda of the pro-marijuana movement and industry. 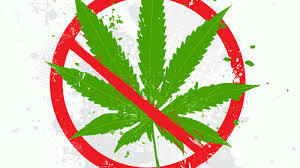 The truth, based on modern and serious medical and scientific study, is that marijuana is not only as dangerous as we once knew it to be, but that it is even more dangerous than many know. Throughout the 1970s and 1980s, the psychoactive ingredient in marijuana (THC) averaged about five percent. Today’s marijuana is now averaging about 18 percent and many dispensaries throughout the state and country sell strains that are even more potent—and dangerous. Indeed, the pot of our youth is not the pot of today; today we are now dealing with “turbo pot” and the damage it does to the teen and developing brain has very serious consequences not only for our children but for society in general. And more and more marijuana, where it has been legalized, is finding its way into the hands, and brains, of more and more teens. Beyond the science, almost every other argument people have heard in favor of marijuana legalization is, simply, not true. Debbie and Seth will address this issue from their varied backgrounds and happily take questions from our luncheon attendees.